good me and my family are very happy to work and belong to this business, they have a lot of variety of products and we love them, they are also very responsible with the super fast shipping and at the time of any problem is excellent customer service. Achieve a smooth shave every time with this shave cream concentrate. 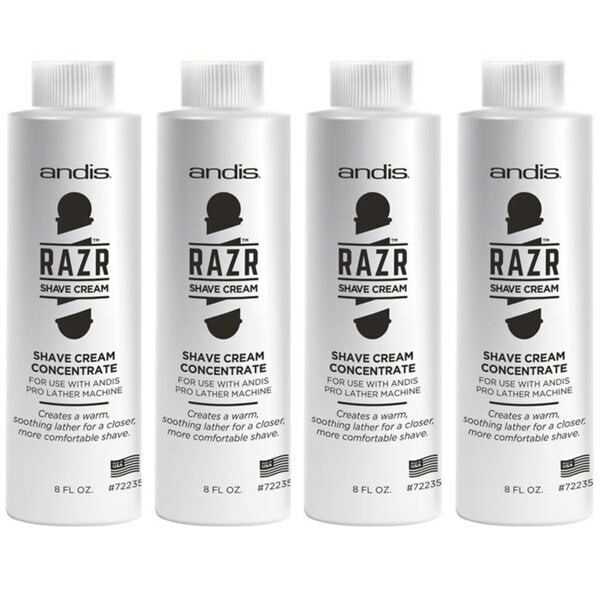 Designed for use with the Andis Pro Lather machine for velvety razor strokes, this product can be selected as two eight-ounce bottles or four eight-ounce bottles.